One of the reasons we homestead is to provide our own humanely raised poultry for the table. I began raising broiler chickens for meat and I like freezing them for winter. However, I wondered if there was a more sustainable way to raise my own meat birds, since the Cornish x broilers are a hybrid and must be purchased every year. I decided to try raising Pekin ducks as an alternative and I am very happy with the results. I ordered my ducklings from Schlecht hatchery in Iowa. It took 3 days for them to arrive and they were very thirsty and hungry. Schlecht Hatchery has the best price I have found online for ducklings. Their selection is limited and I felt that they could have done better about communicating with their customers regarding delivery dates. (I do not receive a commission from Schlecht.) However, I was happy with the price. Pekin ducklings are larger than chicks, they also grow faster, eat more, and make a bigger mess than most baby chicks. I have only found one exception to this…Cornish X meat chicks. I think they are just about as messy and hungry as ducklings. This page contains affiliate links. You will not pay any extra if you purchase products through these links, but I will receive a small commission. 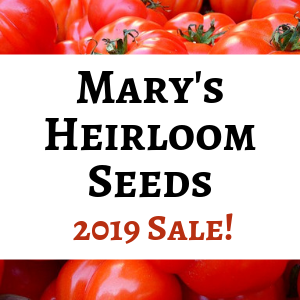 Thank you for supporting The Self Sufficient HomeAcre! Caring for ducklings is pretty similar to caring for chicks. They need similar brooder temperatures and conditions. Ducklings should have a bit more space and it is recommended that you provide them with a special starter feed for ducklings. Make sure their feed is fresh so that the Vitamin E hasn’t started breaking down. Ducklings are susceptible to Vitamin E deficiency and will display symptoms such as having trouble walking or rolling over on their backs and paddling the air with their feet. Electrolytes and probiotics are also a very good supplement when added to their water to give them a healthy start. You also want to be sure that the ducklings aren’t swimming too early. 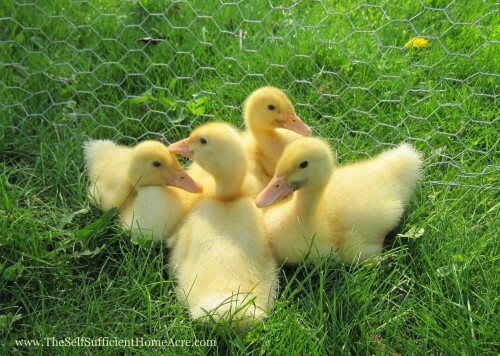 Ducklings raised by their mother are groomed with the natural oils from her oil gland, making them water resistant. If they come from a hatchery, incubator, or non-water fowl surrogate mother, they won’t have this natural protection. Ducks, skinned, vacuum sealed, and ready for the freezer. The Pekin breed is one of the most popular for meat and I can see why. Our ducklings grew very fast and were ready for processing at 7-8 weeks of age. That is on par with the Cornish X meat chickens for speedy growth and tender flesh. The Cornish X might provide a bit more meat per bird, but you can’t keep them to breed a new batch of chicks each year. At least the results will not be the same as you get with the hybrid chicks directly from the hatchery. 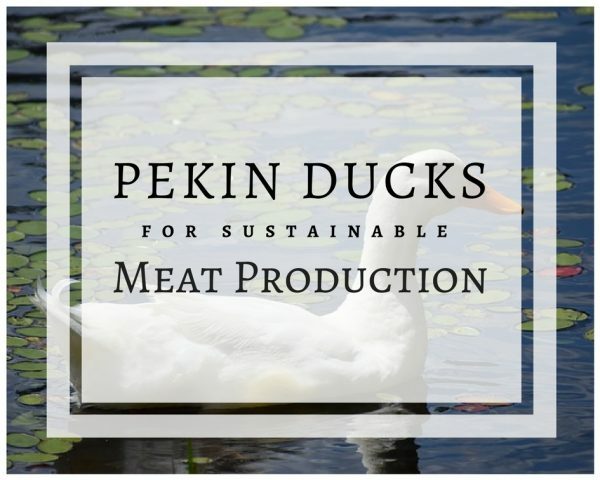 If you are interested in raising your own meat birds but you’d rather not order Cornish X chicks every year, you might want to consider raising Pekin ducks. Be aware that they are messy, you’ll want to provide a pond or pool for them to splash in, and the ducks are not very good mothers. Hatching in an incubator or under a Muscovy duck (or other surrogate mother) might be a better option for raising a successful clutch. Not only will Pekin ducks provide you with a great source of meat, but they are very good layers. I gather an egg almost every day from my ducks. I have 4 ducks now (and 1 drake) and I gather 4 eggs every day, except maybe once or twice a week I gather 3. They are producing better than any of my chickens, the eggs are much larger and are great for baking. Slow cooked duck meat is wonderful! I also found it a little bit more difficult at first to kill my ducks, in comparison to chickens. They seem just a little bit smarter and they are pretty cute. So just be prepared and remind yourself that you don’t need a dozen drakes with raging hormones running the gals ragged! And if you need an incentive…here’s a yummy plate of duck meat prepared in a slow cooker to entice you! Hi, it was nice to see a post on ducks instead of chickens! I have chickens mostly for the eggs…I gave up on raising chickens for meat…I MUCH prefer duck and goose but they are much messier too. I have a big pen with kiddie pools for them. I have a couple pekins and rouens but I mostly have the muscovies now and I love them…they don’t want to have anything to do with me but they are hysterical to watch, especially the males with their posturing! I do find that they don’t particularly like to be penned…even though it is a very large pen and they find ways to escape so they are mostly free range. I will be sticking with the muscovies once my pekins and rouens go away…I have them as pets at this point an for eggs for myself. The Muscovies are much better at raising their own young and the meat is awesome! I raise Emden geese and I think they are great for meat…a bit noisy but they all are! Although I do enjoy raising chickens, I’m having lots of fun keeping a few ducks…so y’all get to read about them! 😉 Glad to hear that you appreciate the duck info! I would like to have some Muscovies too…there is a farm about an hour from me that raises them and I keep thinking about going out to buy some. But I wasn’t too sure I wanted more ducks right now. I actually have an inquiry out about heritage turkeys! Woot! I do like the Pekins for eggs and meat, but maybe I’ll be swayed when I finally get around to raising some Muscovies, lol! I will definitely agree that the messiness factor is a toss-up between Rock Cornish X and ducklings. We have 21 Rock Cornish X in a brooder right now and a dozen & a half duck eggs in the incubator. I don’t know if I will be able to maintain sanity after putting up with this mess in my house for that long straight! I am trying to get a pen up today to get the broilers out of the house. That will give me about 2 weeks of peace until the ducklings come! Hopefully it will stay warm long enough to get these nasty beasts outside! We haven’t eaten any of our ducks, yet. We hatched 3 about 15 months ago. They were all female, so we kept them for laying. We don’t have any drakes, but a friend wants to give us one. She got 5, and all ended up being drakes. They ate 2 of them, said they were great. She just got 2 females at a poultry show, but they wouldn’t sell them except in pairs, so now she has 2 ducks and 5 drakes again! Well, at least we will get a drake out of the deal! Your post is very timely. I am ordering more chickens soon and am considering adding a few more ducks. We are currently raising a few but have not butchered any yet. We were waiting to see if we liked the taste before committing to more. Do you always cook them in the crockpot or do you have other recipes? I have also roasted the ducks in a roasting pan. I chose to use the crockpot for this duck because I butchered when it was older…about 4 or 5 months old. I skinned it instead of plucking, because their down is so hard to remove when they get older. So I wanted to make sure it was tender without the extra fat from the skin. The young roasted duck was delicious too…but there is a lot of grease. I need to start rendering it and using it for cooking. Best wishes with your duck adventure! I think you will find that their meat tastes a lot like the dark meat of a chicken. Of course, I’ve only tried the Pekins. Let me know what you think! You are so right about the raging hormones of drakes! We have taken in ducks from people who should have never bought them in the first place and have ended up with 3 males and 1 female. The boys have to be locked up in their own area for the health and safety of Mama duck. Because she is not available for the taking, they have no issues with assaulting one another. Every day around cocktail hour, we can hear a giant ruckus in their yard. No one gets hurt but it is really outrageous how crazy they can get! We live on an acre and have laying hens, the ducks and a pair of Chinese geese. I don’t have the ‘right stuff’ to turn any of them into meat birds but those drakes sure do tempt me. They all live in a retirement home. I do appreciate and respect your self-sufficiency – you provide great information. Thank you! Lol! Thanks for making me laugh, Ellen! It can be entertaining, and frustrating, to have all these animals around. But they all live by instinct and I can’t blame them for that. 🙂 I understand keeping them just for pets. If I had more willpower, I’d be a vegetarian and all the critters on our homestead would live to ripe old ages. Our Pekings had extremely tough meat and I found it wasn’t worth the work of butchering. We still have four ducks left and plan to butcher them soon enough. They stopped laying eggs about three four months ago and finally picked up again about a week and a half ago. So, we were excited to see that. We calculated the cost of raising meat birds organically and it is expensive. Too much money goes into them. So, I am not sure we will continue in the meat bird production. They are much more tender when processed at 8 weeks. When you butcher, be sure to let them rest in the refrigerator for 24 to 48 hours. Of course, when they are older that won’t make them tender. I stew my older poultry at a low simmer for several hours to help with that. Yes, organic is expensive. But I think about the health care costs that we might incur someday if we continue to eat pesticides and I’m ok with the extra cost now. We are cutting down on the amount of meat that we eat and trying to use a better quality, homegrown or locally grown, product. Best wishes and thanks for sharing! My ducks are terrified of me…but they have a pretty good reason. I have heard of people spending a lot of time with them and making them into lovable pets. I do my best not to get attached to any of the poultry, because we do butcher all of them eventually, except maybe the rooster. Your ducks were very lucky to go to a place with a pond! That’s awesome that you were able to re-home them. 🙂 Thanks for sharing your duck experience! I remember the morning that we picked up our ducklings from the post office. We got that early morning call – like 3 AM – and had to rush downtown to get them. Came home and got them settled in the spare bedroom (with carpet). We learned very quickly that ducklings make a lot of mess! When we first put them in a little tupperware bin with water it was so adorable. We were hoping that they would imprint on us, but no such luck. We found them to pretty much more aloof than our chickens. We had them for about 2 years and then admitted defeat – our little 1/2 acre was not fit for them, so we found them a new home with a pond. No meat birds here, except if the foxes ended up getting them.